Stuart Grifel is a recognized subject matter expert in improving operational and organizational performance in the public sector. A former teacher in the Yonkers, NY, public school system, he is currently serving as the consulting director for Public Sector Performance Associates of Tampa, Florida. For more than 25 years, Stuart has helped improve operational efficiency and effectiveness in local and state government entities, including school districts; these significant cost-effective improvements in government service delivery resulted from successfully conducting operational, performance, compliance, and financial audits, using outcome-focused performance data. Stuart’s extensive experience includes working with KPMG; the National Center for Public Performance at Rutgers University; the Florida Innovations Group; the City of Miami Beach, Florida; the City of Austin, Texas; the State of Florida, and other governments throughout the United States. 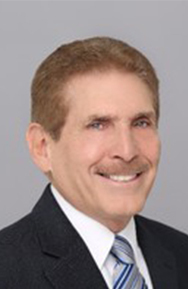 He is the past president and current membership chair of the Institute of Internal Auditors Palm Beach County, Florida Chapter, as well as and past president of the Austin, Texas Chapter.